Nowadays it’s a much more complex issue as the pain has moved and keeps moving to involve other nerves and muscles. Different activities will cause certain areas to become inflamed, e.g., when I garden and do a lot of bending or when I sit too long at the computer. Going on holidays can become a nightmare because I’m sitting in all kinds of chairs which have varying degrees of softness/hardness and have varying angles for the fulcrum between my lower back/pelvis and my legs.The pain can completely flip over to the left side too. The distributor for Painmaster in Australia and New Zealand has recently produced some great videos that show the versatility of the unit, for instance this video shows how hip pain can involve different areas and how one can move the patches to get the best relief for an individual’s specific hip pain. I want to share with you some of the different places where I put the patches when the pain moves but is still within the buttock and lower back region. 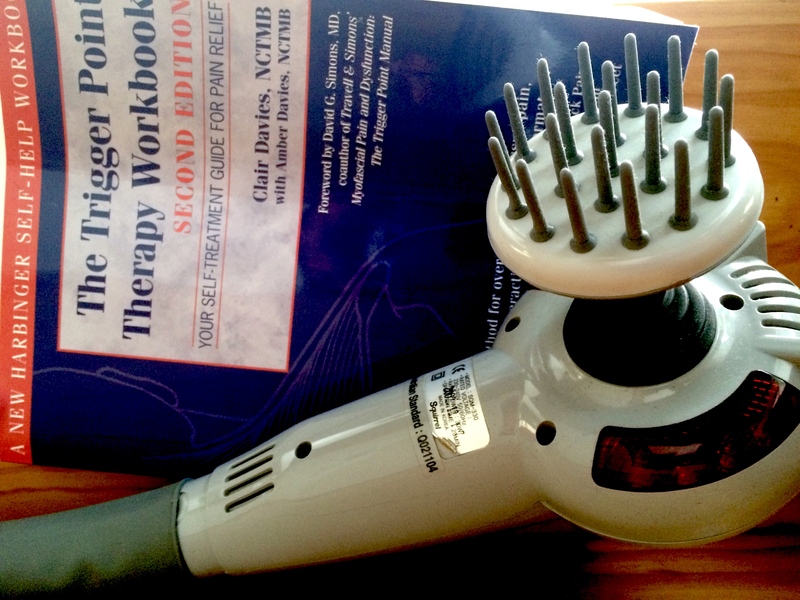 I hope this encourages you to experiment with the Painmaster if you are not getting satisfactory results. The dominant images (below) from the Painmaster brochure and packaging shows 2 patches either side of the spine.It is probably the best position for treating pain which emanates from the vertebrae, a common place of damage and pain. Another video produced by Painmaster Australia New Zealand shows the general principle for treating back pain. It also describes my preferred way of getting pain relief. I put one electrode on one side of the spine and the other electrode on the opposite side of the spine. In this way if I am getting a lot of pain around the spine I can calm the nerves and muscles separately on each side of the spine. This is also the set-up I use with 2 Painmasters when I am going to travel long distances on a plane whether the pain is already strong or not. (Painmaster recommends not using more than 4 units at a time.) It seems that my sacrum becomes jammed when I sit for hours in the same seat. 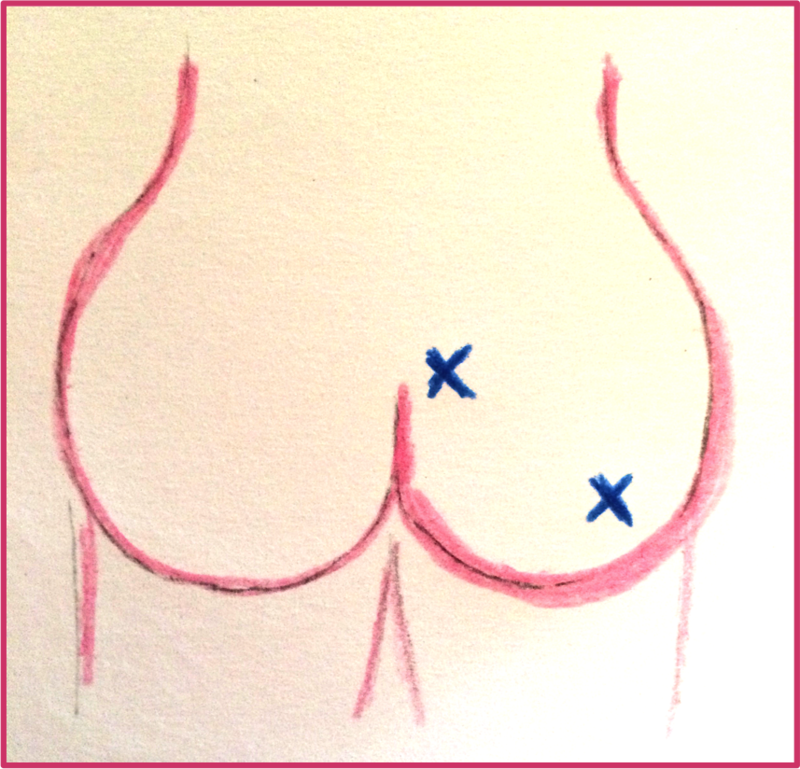 I visualise the sacroiliac joints and position the patches close by and then determine where to put the connecting patches to the most painful spot on each of the buttocks. If the pain shifts slightly I can move the patches around until I can sense that the pain is diminishing. 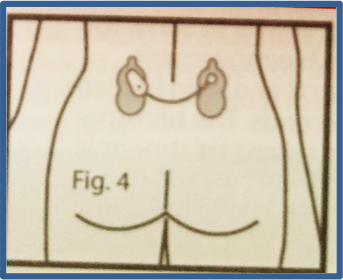 For good measure I include this diagram of putting one of the electrodes above the waist. I realised that the muscle running parallel to the spine was tight and painful when a very good massage therapist showed me its link with the strong pain I was experiencing in the top of my buttock. Painmaster Australia New Zealand also provides a great video for placement of patches for lower back pain which might be more helpful than my explanation. … then don’t be afraid to experiment. Of course I understand that feeling of anxiety about finding the optimum site for the electrodes as soon as possible. I can still get in a terrible mess with lower back pain, especially when I go on a holiday. I might try all the usual places trying to bring the pain level down but still be unable to make any significant impact. I prod all over the the soft and bony parts of the buttock trying to determine the worst places. Sometimes the pain needs to get very strong so that I can’t miss the chief offending spot and at last can set about obtaining pain relief. I have never encountered another product that takes away the pain while one is actually engaged in the activity or position that is normally guaranteed to escalate the pain. So of course I am an absolute fan of the Painmaster! If you have discovered that Painmasters deliver the pain relief you need you might like to consider a more permanent form of microcurrent therapy. Here are 4 units I have some experience with: Micro 300, Micro 400, Micro 850 and MicroPlus. In 2004 I went back studying after a very long break. I had no means of pain relief other than exercise and low-level medication. The few years in Auckland when I was able to purchase a continual supply of Painmasters had long faded away. I realised that attempting the course might bring about a nightmare of pain (mostly from the need to sit at computers) and so I went to the internet and typed in ‘micro current’ in the wild hope that there might be something out there that mimicked a Painmaster. It was going to cost me more than $100 as well as postage from the U.S. It was a big event 10 years ago to order something online and arrange payment for it while living a whole ocean away from the source. I don’t know how many times I read and reread all the information on the site before I took the plunge – a plausible explanation was given on the website as to how microcurrent could address pain. When the case arrived I was nervous all over again in considering how to adjust the settings to achieve something similar to the Painmaster device. 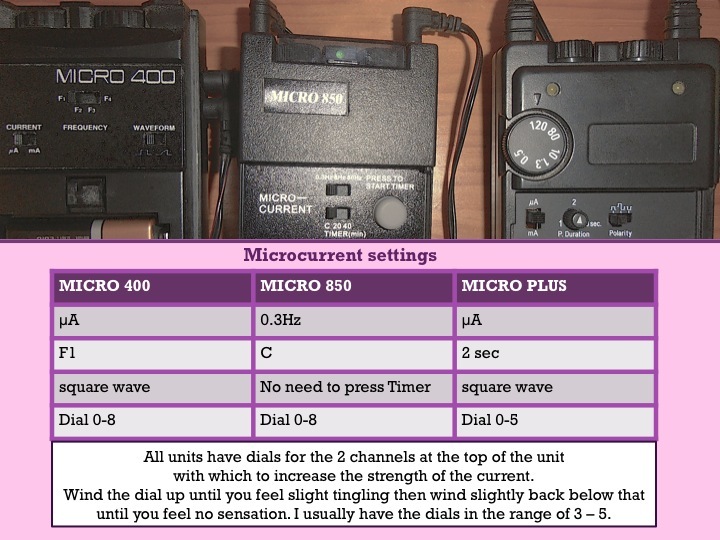 After reading the Micro 300 booklet I chose some settings and switched it on. After only a couple of days of experimenting I found the optimal settings and I was in business! All the different seats in lecture halls, tutorial rooms, library and cafeteria as well as computer chairs no longer seemed an insurmountable problem. When you remove the settings cover there are a number of choices to make. I can recommend the following selection however you could track some different settings to come to the optimal solution for your own pain condition. Just note that the MicroPlus has a second dial on the outer surface which I generally set in the range of 0.5 to 1.3 ( the lower end of the spectrum). The Micro 300 model has now been replaced by the Micro 400 model. However Medcare Service no longer sells those models or posts to Australia. This forced me to search again and I found Llhasa OMS, a company which has always provided a very good service and you can arrange by email to have the unit posted to Australia. The units themselves come in hard black cases and mostly seem to be made in Taiwan even though they are sold globally. The case also comes with a battery and lead wires as well as electrodes – I have not found these electrodes to be very durable. All the units have a small flashing light to show the battery is working. The one which has become my main backstop is the Biomedical Life Systems Micro Plus which I have ordered from Allegro Medical – https://www.allegromedical.com– in the electrotherapy menu. I emailed them and they arranged to post it economically to Australia using DHL. Lhasa OMS offers the Micro 850 (http://www.lhasaoms.com/Microcurrent-Units.html) at a very reasonable price. In many years of ordering I have only hit one snag because there are 2 different models of the Micro 850, one offering a 10, 20, 40 minute length of current, another one providing a C(Continuous) 20, 40. The timer needs to be Continuous to address chronic pain so check this out when you email your order. 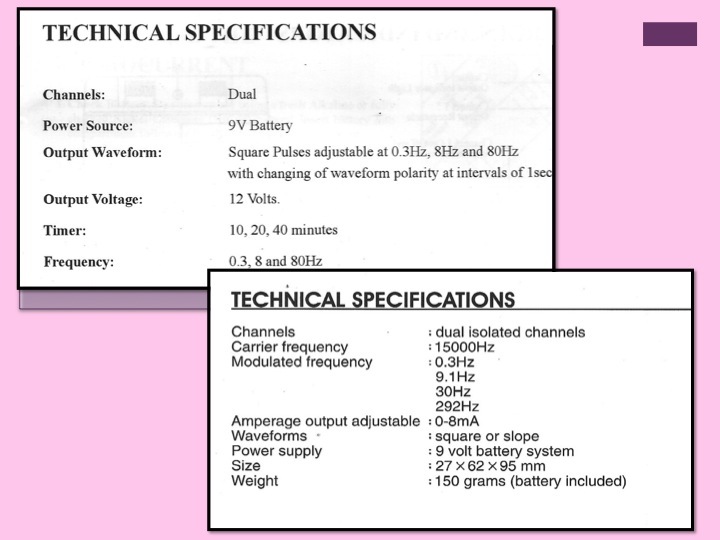 Of course whichever microcurrent unit you purchase there are still going to be occasional dramas and costs. You will regularly need to purchase new electrodes and lead wires as well as 9V batteries. You can try buying a recharger for a rechargeable 9V battery but I found that they never lasted more than 12 hours which was too troublesome. Eventually any microcurrent unit will expire after a few years of continuous use. The hard plastic cover for the settings and battery may also fall off. Not to mention dropping the whole unit onto concrete floors! As a woman, I found I needed to dress in skirts or pants which ideally had a pocket so that the unit could rest in the pocket while the lead wires were threaded under the clothing. Although a microcurrent unit is a health device I always feel it is better to remove it before passing though airport screening and then reapply it before boarding. I just don’t want to make public explanations as to why I’m wearing something that looks like I’m wired to explode. Purchasing the accessories can be time-consuming but here are a few tips for electrodes and leads if you don’t want to order them from overseas. http://physioworks.com.au/online-store – under TENS Machines – sells electrodes. http://whiteleyallcare.com.au sell PALS Valutrode Electrodes as well as less expensive AllCare Electrodes as well as the Lead for Allcare TENS (Product Code: ACTENLEADMK5) which is compatible with the Micro 400 and the Micro 850. The way to order to order these products is via www.myphysioshop.com.au. At the moment I have put the units into a cupboard and am enjoying the freedom of using Painmasters after a gap of 15 years (See Mastering pain (part 1). No longer do I need to fiddle with settings, check the battery, purchase accessories online or deal with long wires bunched up underneath clothing. I can wear dresses! I can travel! I have proven to myself over and over that the level of microcurrent in a Painmaster – the original model provided up to 20μA (microAmps) and the latest model says 2.7 vDC @ 49μA – is a perfect match for removing the sensation of pain. I am so convinced about this Painmaster MCT patch that if I am not experiencing freedom from pain then I only need to move the patch to a slightly different place on my body. Maybe if I have strong pain occurring in a number of places – my shoulder as well as my buttocks – or if I cannot afford to use more than 2 Painmasters at a time, I will get out one of the above microcurrent units and use it in conjunction with a Painmaster. Some doctors are sceptical that such a small current could make any noticeable improvement. I am not saying that it cures chronic pain. 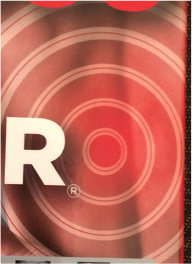 But I am saying that as long as I am wearing the patch in the correct site then it will render the pain negligible.